My love of bacon usually knows no boundaries. I’ll try to add it to anything. Sometimes it works a little more seamlessly than other times. When you only have two or three ingredients, it works out pretty well. 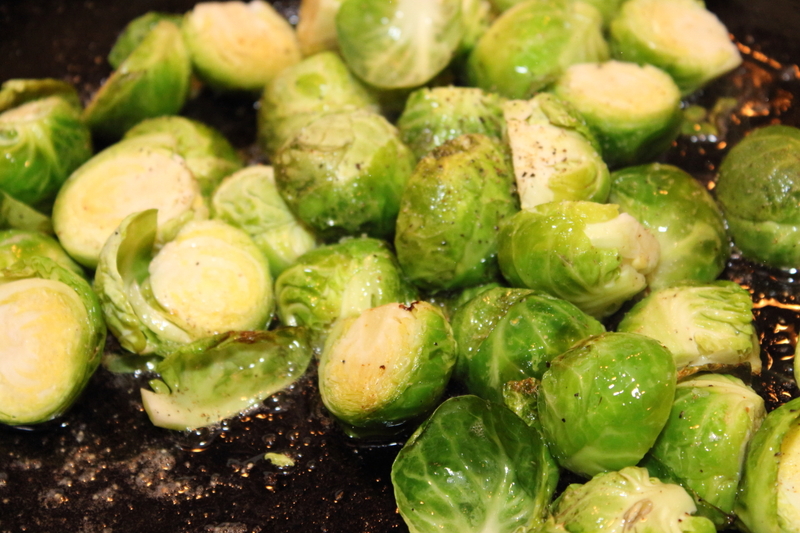 I had some brussel sprouts and had absolutely no idea what to do with them. As I listed off the other items I had in the fridge, I stopped at bacon and decided that would be good enough. 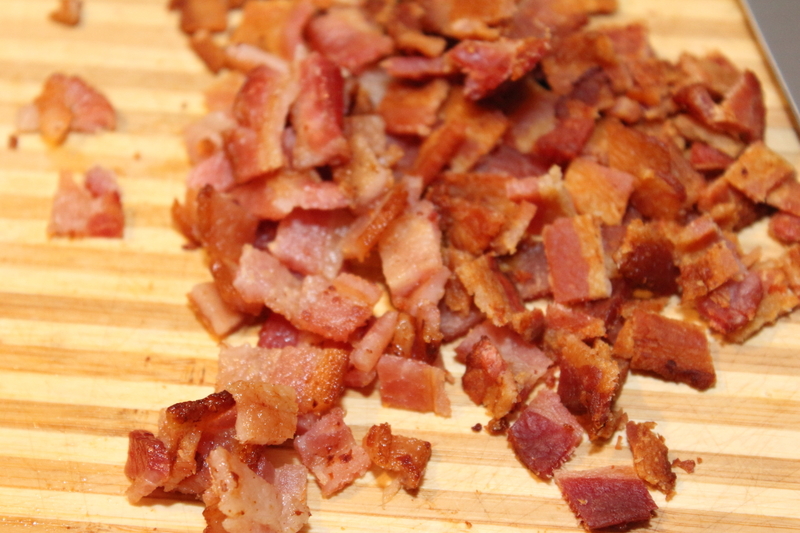 We chopped these bad boys into halves, and took the kitchen shears and cut up the bacon into little bits. This is one of the times that I find a pair of kitchen shears to be totally invaluable. It’s amazing how easy it is to tame slippery slices of bacon with scissor action compared to trying to find your sharpest knife and hope that the bacon doesn’t slide around too much on the cutting board. I used my 12″ cast iron skillet, firstly because it is still kind of a new to me, and because I like the way that bacon cooks in it. Really nice and evenly. 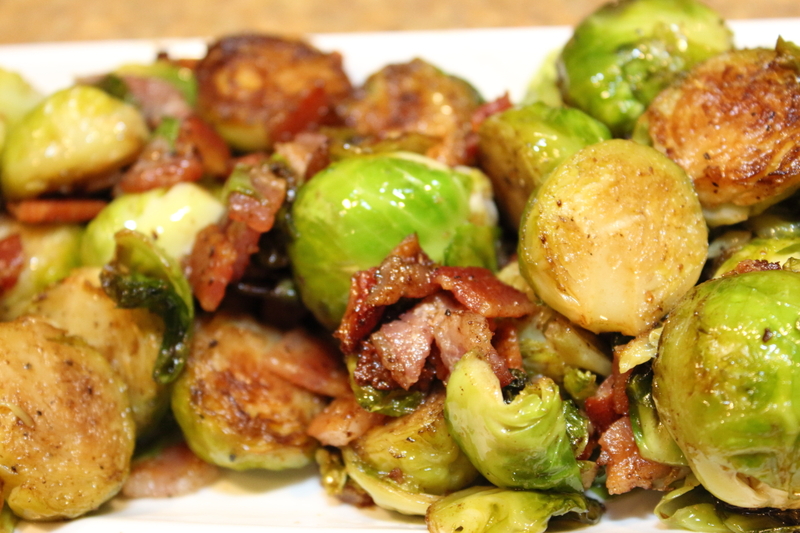 I cooked the bacon until it was nice and crispy but not overwhelmingly crispy – I wanted to still be able to toss it back in when I was about to finish up cooking so it would warm up again. Take bacon out of your cast iron skillet, and take out some of the bacon grease, until the skillet is just slightly thickly covered. 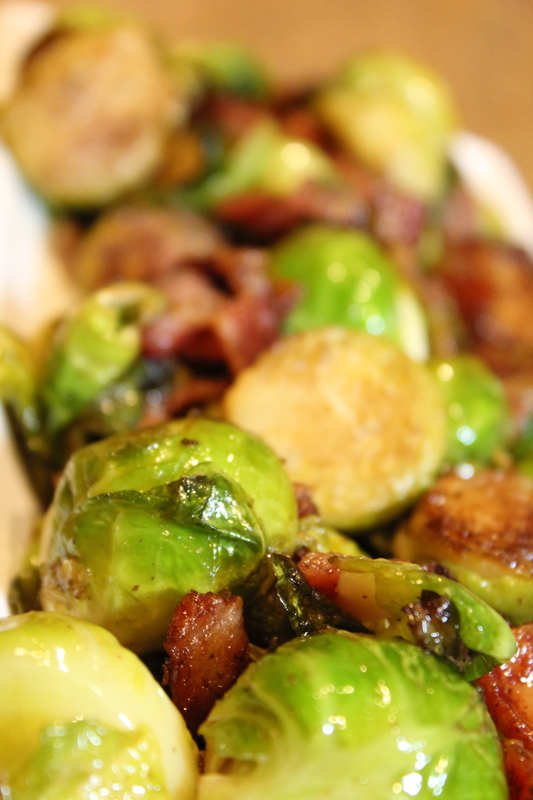 Set the bacon aside and warm up the pan and throw in the brussel sprouts. I covered the skillet and cooked them until they were cooked through (I’m not sure how long that took, cause I relied on my friend to test them since she had cooked them before – this was my first time trying to cook them) and then added the bacon back in. When they were done cooking/warming back up, I tossed them with a pinch of salt and put them in a bowl to serve with. They were pretty good. 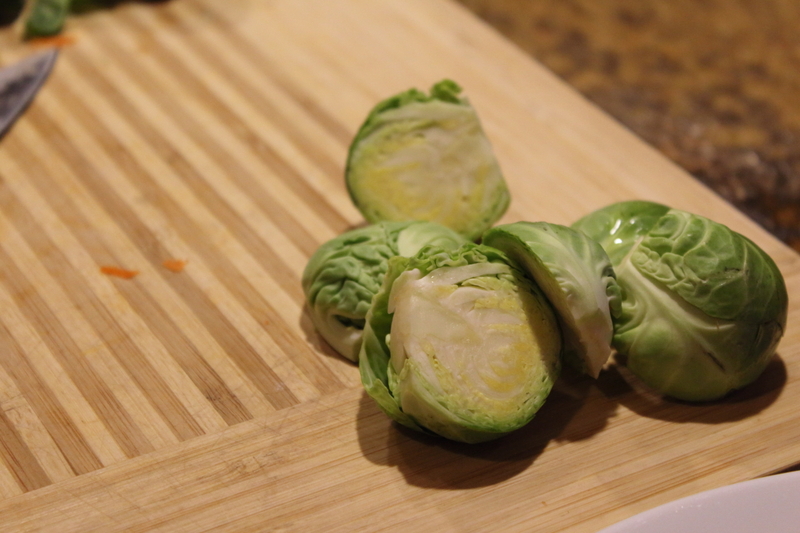 I think I’ll be more likely to buy these lil cabbage lookin things again and try another way of cooking them. I’ve had them dressed pretty strongly before, never just with one other ingredient – I was pretty sure I wasn’t going to be a fan of the taste of them, but they are not at all offensive when you can taste their actual flavor. Wow does that look delicious. Bacon makes everything good, I love it. The photo’s are perfect and you can see how beautifully you caramelized everything, Wonderfully done. Yet another bonus to using bacon – it seems to photograph well, if you have enough patience to snap a few shots before picking at it – so far I’ve been fairly successful. Bacon makes so many things better! Agree with Suzanne on the bacon! Looks like an incredibly delicious dish! Thank you! This little post is a good reminder that I should branch out and toss things together and just TRY them and see how well it works out, sometimes it can taste really good!